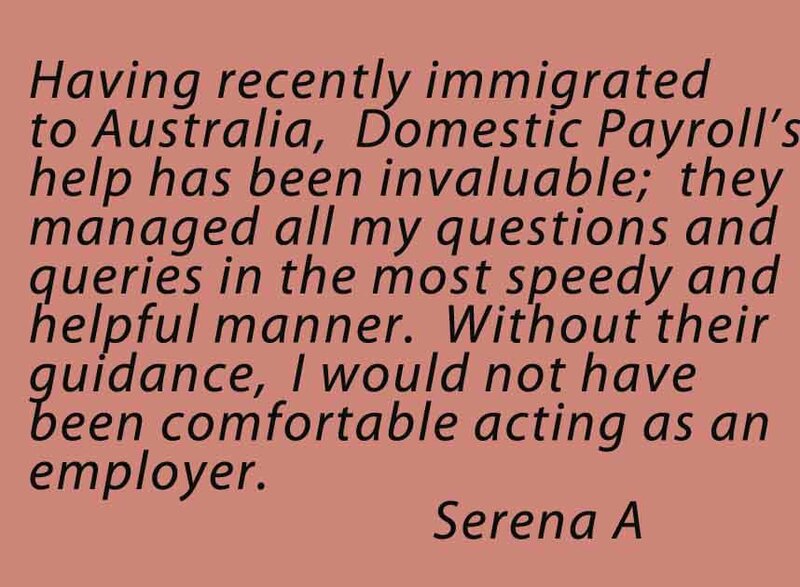 Domestic Payroll has existing arrangements with a number of nanny agencies throughout Australia as a referral agency. The advantage to your agency is that you are able to offer an after market service to your clients. 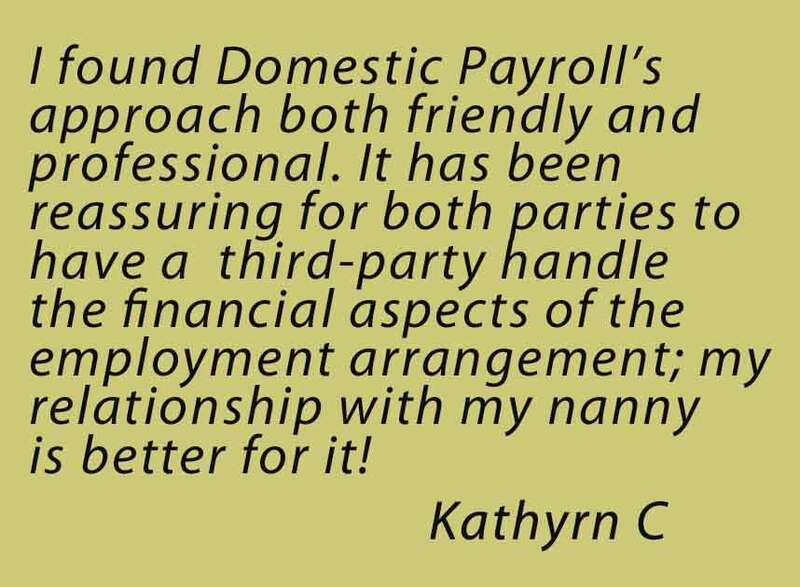 As a nanny agency you are often asked tax and payroll questions by your clients. 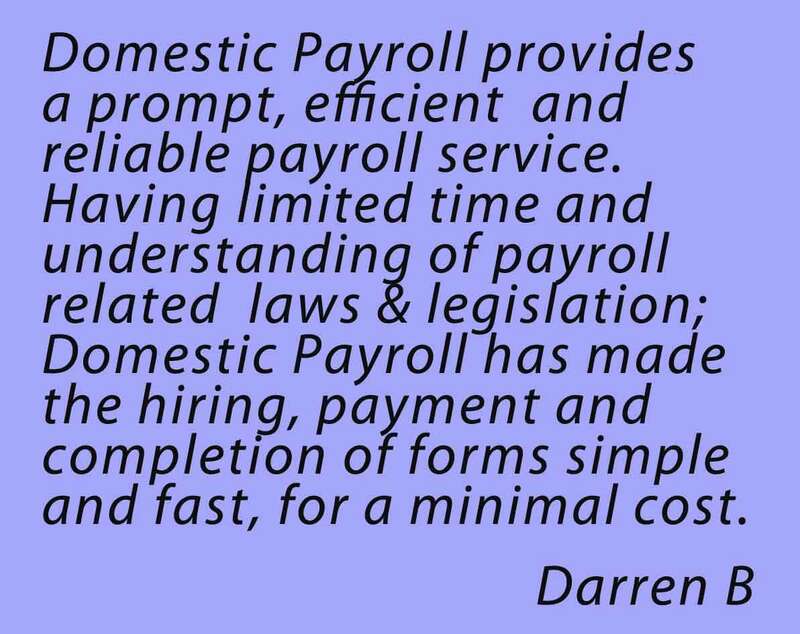 By offering Domestic Payroll as a solution you add value to your current service. Dream Nannies – based on the Gold Coast, Dream Nannies provides childcare recruitment services Australia wide, including nannies, au pairs and babysitters. Mini Nanny Agency – personalised nanny service for Brisbane, Gold Coast and Northen NSW. White Glove Services – is a high profile, international nanny agency, providing elite domestic staff & corporate creches. Mothercraft & Nannies – Sydney based Nanny and Mothercraft Agency which covers the whole of metropolitan Sydney, Country, Interstate and International areas. Dummies and Playdates Nanny & Babysitting Agency – Sydney based au pair and nanny agency focusing on servicing the South West. Nanny Finders – an Australian wide online Nanny placement service providing quality, economical and flexible care. Centenary Nannies – provides nannies, mothercraft nurses, tutors and babysitters throughout Brisbane and the greater region. Gold Coast Nannies – Nanny and Baby Sitting Agency established in 2007 offering a range of child care solutions on the Gold Coast. Poppins Nanny Agency – Poppins Nanny Agency refers professional and qualified carers to families in metropolitan Sydney and the surrounding areas. Perfect Au Pairs – specialists in au pair and nanny placements servicing Australia. Sydney North Shore Nannies – a boutique nanny referral agency servicing Sydney’s North Shore and surrounding suburbs. Hola Nannies – nanny agency based on bilingualism, the whole team speaks a second language with casual babysitting, full time/part time nanny placements and au pair placements available. Night Nannies – providing child care services throughout Australia. 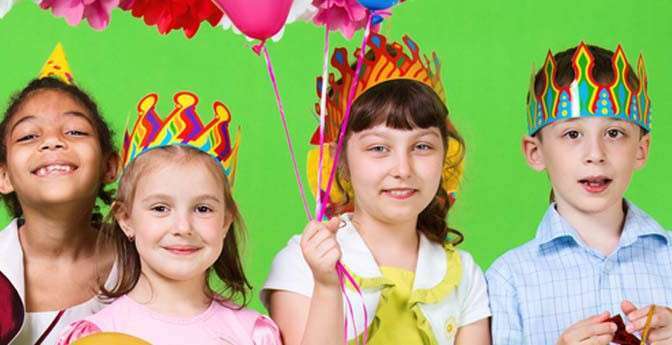 Smartaupairs – to find affordable live–in childcare anywhere in Australia. Nanny Collective – Australian wide child care service focusing on providing early childhood trained professionals. To discuss after market options contact Domestic Payroll.